Cova's experience in technology and retail spans 20 years. 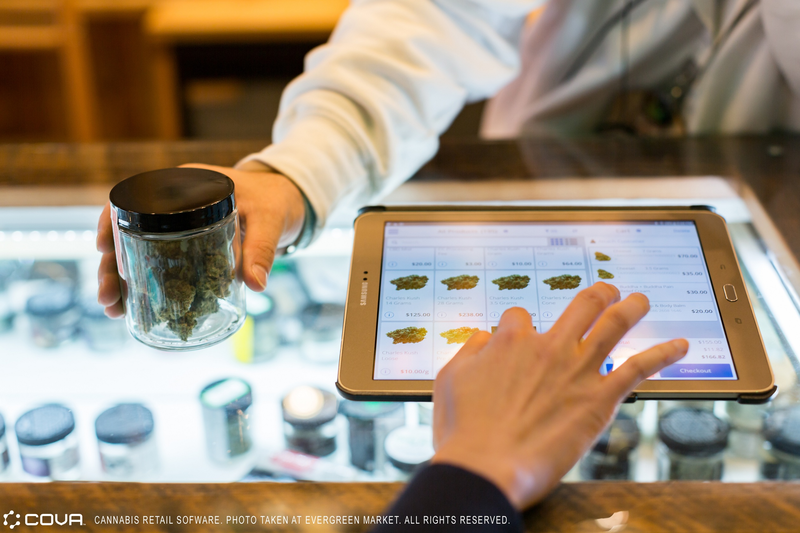 Rooted in a successful enterprise environment, the passionate retail technology company brings robust resources and infrastructure, while remaining agile enough to incorporate customer feedback and keep pace with the evolving cannabis retail industry. Cova's advanced platform has earned industry favour largely because the easy-to-learn software is backed by comprehensive support. The company's premier launch team and ongoing help with processes and best practices was vital to retailers like The Hunny Pot Cannabis Co. and Spiritleaf. The Kingston store marks the 6th location for Spiritleaf, Canada's largest cannabis retail franchise concept. The Calgary-based company is rapidly expanding, with 50 approved permits in Alberta alone, over 20 franchise agreements in Ontario with more than 100 potential stores in development across the nation. Cova will continue to serve as a close partner to ensure that successful expansion. In Toronto, The Hunny Pot Cannabis Co. - one of the first companies to be granted a license in the province - will open a 3500 square-foot store in the heart of downtown. ''As we approach the finish line, we couldn't be more excited for April 1st and to welcome our first customers. As the first legal retailer to open its doors in the city of Toronto, we have a duty to set an example for current and future retailers, which means paying close attention to all of our vendors, from designers to POS software. We are confident in Cova's overall approach, service offerings and their dedication to compliance, which is incredibly valuable to us at The Hunny Pot," said Hunny Gawri, Owner of The Hunny Pot Cannabis Co.
Cova is the leading POS solution in the cannabis industry. The Cova team's relentless pursuit of creating the industry's first lovable POS has led to solutions that help retailers simplify compliance, reduce operational costs, and increase revenue through automated compliance, inventory management, mobile reporting dashboards, and Cova's Express Checkout app. With a growing network of cannabis industry partners including Leafly, Baker, I Heart Jane, greenRush, springbig, Enlighten, GeekTek, and Budvue, Cova's seamless tech ecosystem gives retailers access to the best tools available to run their business. Cova's offices are located in Denver, CO, Vancouver, BC, Winnipeg, MB and Regina, SK. Learn more at www.covasoftware.com. Inner Spirit Holdings is establishing a chain of recreational cannabis stores under its Spiritleaf brand. Supporting local entrepreneurs by applying its award-winning franchise and retail models, Inner Spirit has more than 100 franchise agreements in place for potential Spiritleaf locations and also plans to operate corporate outlets in certain jurisdictions. Developing a diverse portfolio of quality and curated lifestyle cannabis products -including Spiritleaf's own locally sourced lines - Spiritleaf is positioned to be an iconic Canadian brand and the most trusted source for recreational cannabis. More information can be found on Inner Spirit's website at www.innerspiritholdings.com.